It’s rare for me to review an act’s live performance more than once but there are occasions when it’s necessary. Take Wolfmother for example. Back in 2006 the band’s debut album was released here in the UK to unanimous acclaim. The album was ripe for the nation’s re-engagement with a more traditional style of heavy rock. Indeed, this album may well have encouraged that mood. I took the opportunity to interview and review the band’s live performance in Liverpool’s Lomax venue. 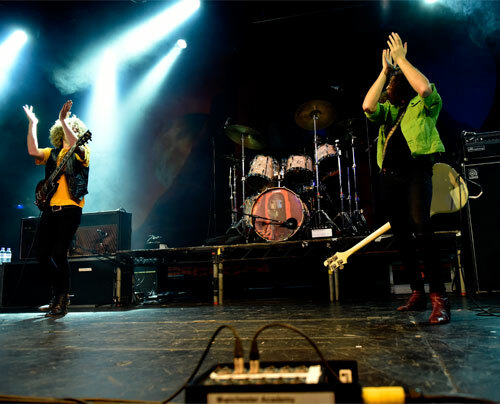 It was an enjoyable experience interviewing these enthusiastic, young and modest rockers while their sold-out live show proved to be an explosive and exciting affair. Exactly ten years later and the band is back with a new album and major World tour to promote it. Unfortunately I have yet to hear it but at least I will be able to sample it during the show. But more importly for me, it will be interesting to see how the band has moved on especially in view of the seemingly endless cast changes since 2006. That’s why I’m revisiting the band. My first observation on entering the large Academy 1 venue in Manchester is that the show is not a sell-out despite its prime location in the middle of the heavily youth populated university campus. In fact the Academy is the premier part of Manchester University’s collection of popular performance venues. Maybe it’s the sign of the times with students now heavily under the financial cosh or it may simply be that the band should have chosen the university’s second largest venue which they could have comfortably filled. The other possibility is that the band’s latest album, VICTORIOUS, has met with a lukewarm critical reception…Finally, for Wollfmother and similar rock bands it’s now virtually impossible to hear their songs on radio which is now dominated by the most mediocre dance music and vastly overrated male and female solo artists who have begun to take the same rhythmic route. The band arrives on stage to a huge roar of welcome and sans ceremony launch into the title track from the new album. There’s no stage flashing lights or decorative histrionics to mask the performance which is electric. “Victorious” walks the middle path between rock and pop - an experiment possibly - and works reasonably well. Fortunately, it’s anthemic vibe and strong melody helps the song secure a pass mark from me. 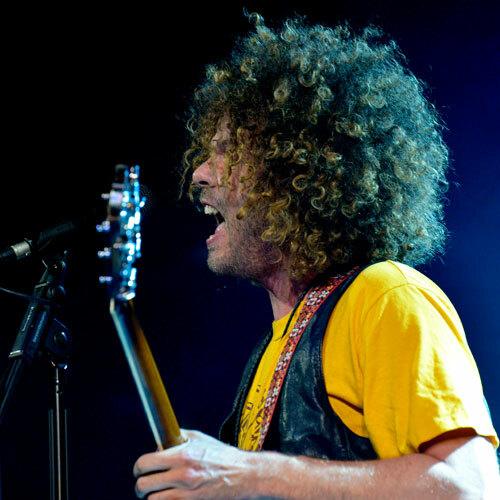 Of the new songs “Gypsy Caravan” and “The Love That You Give” are vintage Wolfmother or rather are the closest to what’s included on that 2006 eponymous wonder (and from the audience reaction I’m not alone in thinking it). In performance terms the trio are each separated by an acre of stage and it was rare for them to meet to exchange instrumental pleasantries but what emerged was a band that has matured like a great wine. 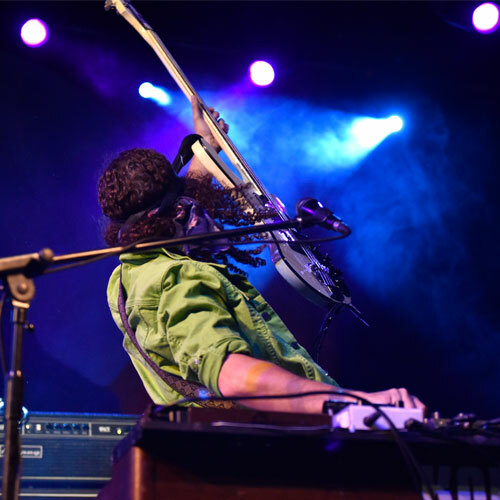 Stockdale’s vocal ruled while solid drummming and Peres’s seamless, multi-instrumental dexterity provided top-notch support and truckloads of drama. The setlist was magical and much to my liking. It included several songs from the debut album which when performed seemed to me to generate a little more enthusiasm from Mr Stockdale and watchers. 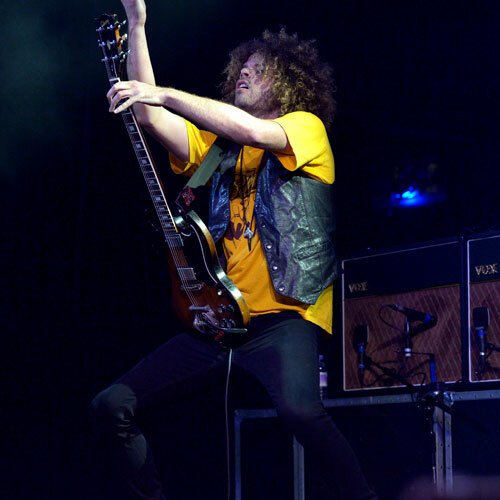 Wolfmother didn’t disappoint anybody in that audience and I sensed that the band felt the love and responded incrementally over the ninety minutes. I’m pleased I caught up with them after a long ten years.